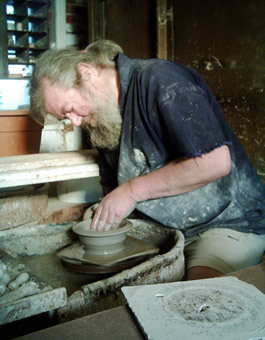 Domestic pottery ranging from mugs and jugs to teapots and casseroles are hand thrown on the wheel and decorated, glazed and fired in our two electric kilns. 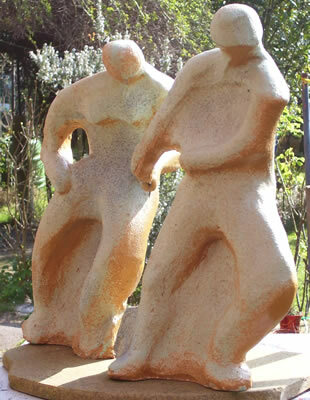 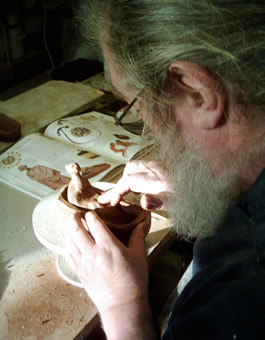 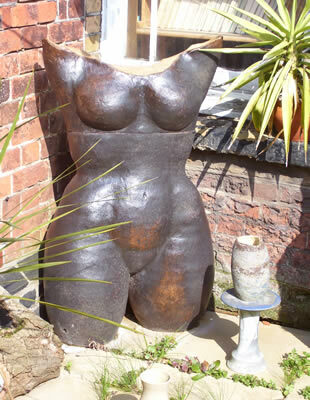 Stoneware torsos and large garden pots are hand built using coils and fired to stoneware. 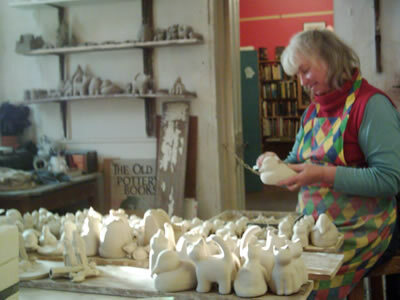 The ever popular Burnham Pottery cats, which we started making in 1981 are cast using our unique plaster moulds and hand decorated with the characteristic blue flowers. 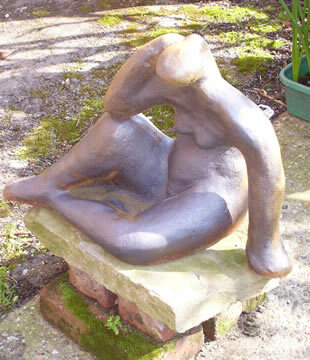 Individual commissions are undertaken please ring or email with your requirements.